A Flurry of New Ice Cream Shops? One thing I know about this recession: everybody seems to want to open up an ice cream shop. In the past years, I’ve had the odd request in terms of advice for starting an ice cream shop, and we’ve had a trickle of requests of people who wanted to franchise Murphys in Ireland. This year, I’ve been getting about three requests for advice a week from people who want to open ice cream shops, and we’ve quite a few people wanting to buy our ice cream for proposed new shops. Somehow, it seems a lot of people think opening ice cream shops is the thing to do at the moment. Is it? The market for scooped ice cream, according to data supplied by Bord Bia, is €5 million/year. That might sound a lot, but if you compare it to the estimated overall Irish ice cream market of €120 million, it’s a not a huge amount. Divide €5 by the number of scooping cabinets in Ireland, and you’d get a pretty low average turnover. The fact is that Ireland has a very small, diffuse population and cold rainy weather, and for those places where there are tourists, the season is generally short. How all of the people who contacting us think they can make money at it is a bit of a mystery to me. Could Westport, for example, support the three people who have emailed me saying they’re going to open shops? Or could Galway support five? Could Wexford support four? I’d be amazed. 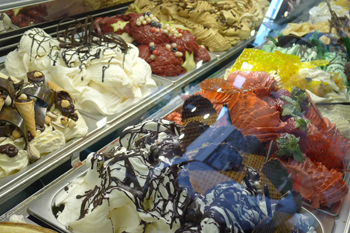 Take it from me – running retail ice cream shops in Ireland is not an easy business. I love what I do, but there are many things I could do that would earn me a far better living. 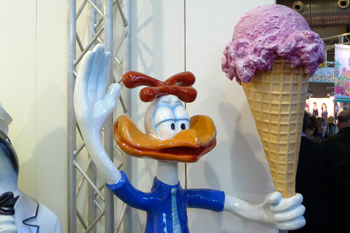 If you love ice cream and wish to make a life of it, best of luck! If you want to get rich quick, I’d suggest finding a more lucrative alternative. You brought up some very good points- and i´m amazed so many people are interested in opening ice-cream shops in Ireland. I moved to Spain last year to open a gelateria with my italian boyfriend and despite the sun its not an easy business….here its obviously very seasonal and you have to survive the cold months as well. We have the advantage of being the only italian gelateria in the city which has a pop. of 240,000 but its definately not easy! Really i am too shock to know that many people are interested in opening shop but this business is really profitable. Many people may be thinking that this business is limited to summer season only but it is not like that now this business run all season and as demand and consumption of ice cream is increasing day by day so all shops are going to have lots of profit. i go to the wicklow st shop more as a coffee shop than an ice cream parlour, because there’s too few sunny days! Thanks for coming in, Garret!